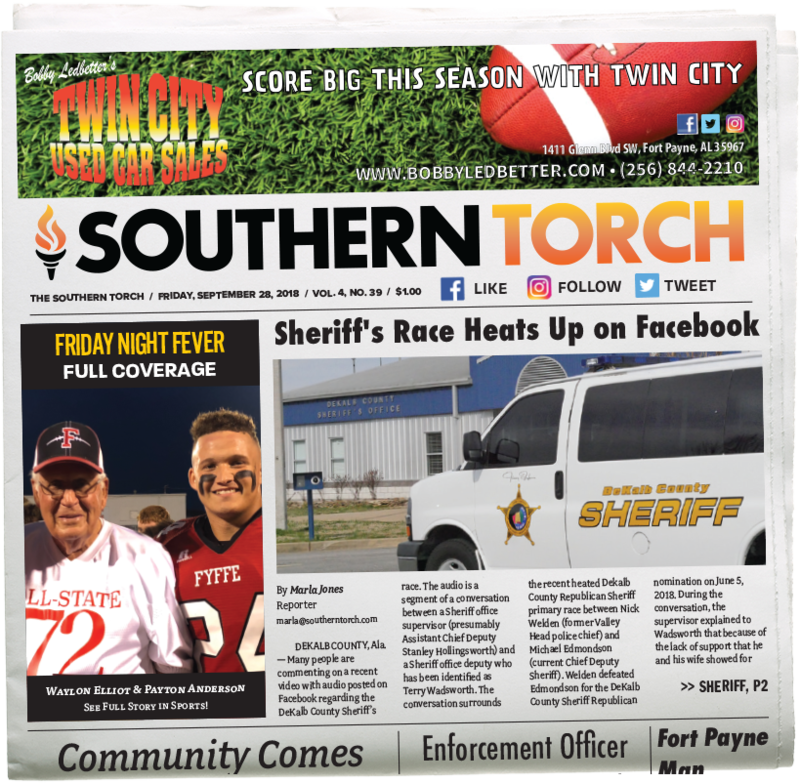 FORT PAYNE, Ala. — (Video at the Bottom) After discussing the matter in an executive session, the Fort Payne City Council voted to proceed with condemning the old Mapco Station on Gault Avenue, across from the Coal and Iron Building. “I’m going to make a motion to authorize our attorney, Rocky Watson, to enter into condemnation proceedings against Mapco,” said Councilman Red Taylor. “One of the first things you’re required to do if you decide to condemn property, is to present the landowner with an appraisal. And there is people who pretty much specialize in those kind of appraisals. Getting the appraisal does not obligate you to condemn the property,” said Watson. “Start the process, get the property appraised, and notify them that that’s being considered. That may have one of two effects, we either may decide we want to condemn it, or they may decide they want to get off their rear and get the deal that we’ve already made done,” Watson continued. The city has been trying to acquire the property for some time. 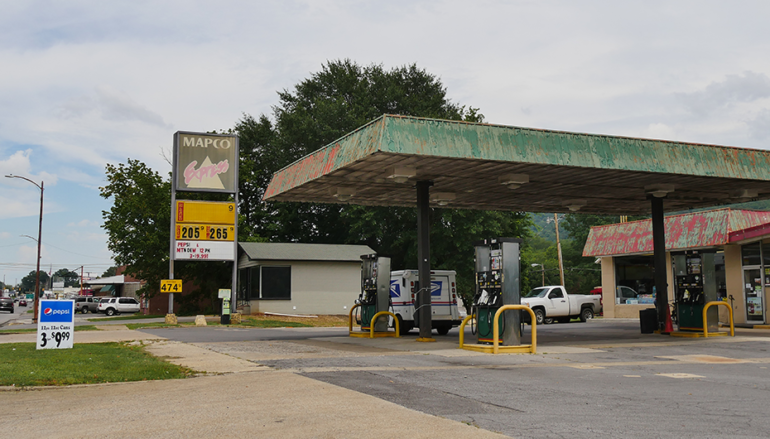 Last year, the ownership of Mapco had agreed to sell the property, but somewhere in the process the Mapco company changed ownership, and the negotiated deal was lost in the transaction. After trying again to move the deal forward after discussing condemnation in May, the city voted to move forward with the action. 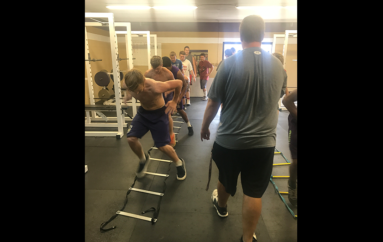 The process will take time, and won’t happen overnight, however. 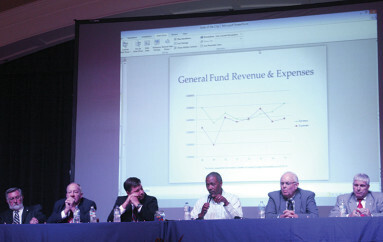 In other items, the city held the first reading of the proposed sales tax increase. Ordinance 2017-11, which would increase the tax from 3 percent to 4 percent to help fund improvement projects, will likely be voted upon in the next meeting. The council also approved an ordinance regarding the proposed “Patriot’s Park,” which will be built in the vacant field on Highway 35, across from the Rotary Pavilion. Mayor Larry Chesser has contacted representatives with the Alabama National Guard, and is in the process of acquiring retired military equipment for the park. Ordinance 2017-37 regards the protection, upkeep, and safety of the acquired equipment. A “Restaurant Retail Liquor License” was also approved for Vintage 1889. The restaurant was currently operating on a “On/Off Beer and Wine” license. The next meeting of the Fort Payne City Council will be held on August 15, at 12 pm in the City Council chambers.